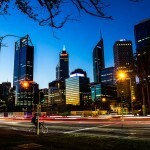 Perth is buzzing, with Elizabeth Quay attracting more than 1,000,000 visitors in just over its first three weeks of opening celebrations. Locals and visitors alike made the most of the opening festival events and free, family friendly entertainment on offer. Fringe World and Perth International Arts Festival audiences have reveled in the new outdoor venue with more than 70,000 people attending the opening weekend including the spectacular performance, Home, and the Chevron Festival Gardens at the quay. The Premier remarked that Perth has wholeheartedly embraced the vibrancy and excitement of this year’s festival season like never before. 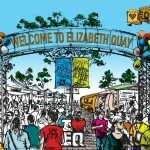 The public has unanimously voted with their feet, there has been an exceptionally positive response to Elizabeth Quay from the community since it opened. Fringe World alone welcomed 133,000 people to the quay for the inaugural Fringe World Fairground and cabaret show LIMBO between January 29 and February 21. Elizabeth Quay has been so popular with locals and tourists, evening Transperth ferry services have been expanded. Ferries now operate on a 15 minute frequency until 9.30pm Sunday to Thursday and 11pm on Friday and Saturday nights. “In the quay’s first week, there was an average of about 3,700 passengers using the ferry each day. This compares with about 820 a day during the first week of February in 2015 – an increase of about 450 per cent.” Mr Barnett said. “The daytime ferry timetable was doubled when the quay opened, however demand has been so strong that extra services have been scheduled and are now in operation,” said the Premier. Planning Minister John Day said visitor numbers remained high in the following months with an estimated 15,000 people visiting the quay for the World’s Biggest Playgroup Day and Diner en Blanc events held in mid-March. 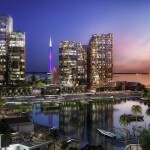 It is very exciting to see Elizabeth Quay redefine itself in different ways to attract a wide range of people including city workers, families with young children and tourists. “Easter was the final weekend of the popular Embargo Bar which has now vacated to make way for the upcoming Night Noodle Markets and the ultimate LEGO exhibition, the Brick Man Experience,” said Mr Day. Other new attractions at the quay include The Little Ferry Co, a new ferry service to Claisebrook Cove, Gondolas on the Swan, and the soon to be opened restaurants, bars and cafes.